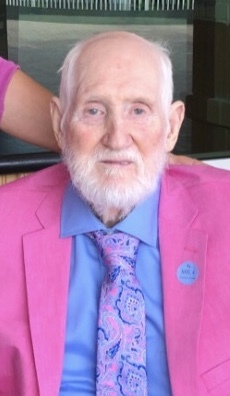 Mr. Harold Baldwin, the son of the late Roland and Stella (Walker) Baldwin, was born Thursday, July 19, 1928 in Adair County, KY and departed this life on Saturday, February 9, 2019 in Hodgenville at the Sunrise Manor Nursing Home. He was 90 years, 6 months and 22 days of age. He had made a profession of faith and was a member of the Bible Baptist Tabernacle, and a member of the Saloma #450 Masonic Lodge. Mr. Baldwin was a lifelong entrepreneur. After earning an associates degree at Campbellsville College, he began his career by selling shoes and candy door to door. Later, he became a stock broker and a coal broker, and worked as an agent for State Farm Insurance Company more than 40 years. He was a Korean Veteran, having served his country honorably in the United States Army. He served his community as a Sunday School teacher at Campbellsville Baptist Church, and was a member of the Campbellsville Jaycees and the Optimist Club. 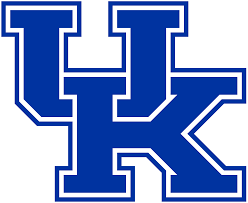 Harold enjoyed watching the University of Kentucky Wildcats and collecting UK memorabilia, and loved sharing time with his grandsons at regular season games, SEC, or NCAA tournaments. He was an avid hunter with his sidekick Jimmy Thompson. He especially enjoyed time on the lake fishing, and could tear up a dance floor doing the jitterbug. Floyd Cramer, Charlie Pride, and The Highwaymen were some of his favorite artists, but he also loved musicals. Campbellsville College’s “The Sound of Music” and Louisville Actors Theater “Patsy Cline” were just two of his favorites. He often relaxed with a Louis LaMour novel or a John Wayne movie. Survivors include a daughter: Cheryl Lynn Baldwin-Marr and husband H.W. of Cecilia; three grandchildren: Jason Baldwin, Clint Rodgers and wife Elizabeth and Brian Brandon Baldwin; four great-grandchildren; his former wife: Barbara Thompson Baldwin of Campbellsville and a host of other relatives and friends. Besides his parents, he was preceded in death by two sons, Robin Thomas Baldwin and Brian Gordon Baldwin; two brothers, Eugene Baldwin and Stanley Baldwin; a sister, Bonita Lyons; and a grandson, Christopher Robin “Buzz” Rogers. The funeral service for Mr. Harold Baldwin will be conducted Saturday, February 16, 2019 at 1:00 P.M. in the chapel of the L.R. Petty Funeral Home in Campbellsville. Bro. Steve Orr will be officiating. Interment will follow in the Green River Memorial Cemetery with military honors conducted by the Marion County Veterans Honor Guard. Family requests visitation from 5-8 P.M. on Friday at the L.R. Petty Funeral Home.